Start your holiday celebrations early at The Cork! In honor of Thanksgiving Eve, we’re giving you the perfect atmosphere to catch up with all your friends–old and new. Just come out to your the ‘Burg’s neighborhood gathering place and enjoy Live! Music from one of our favorites: Drew Stevyns. 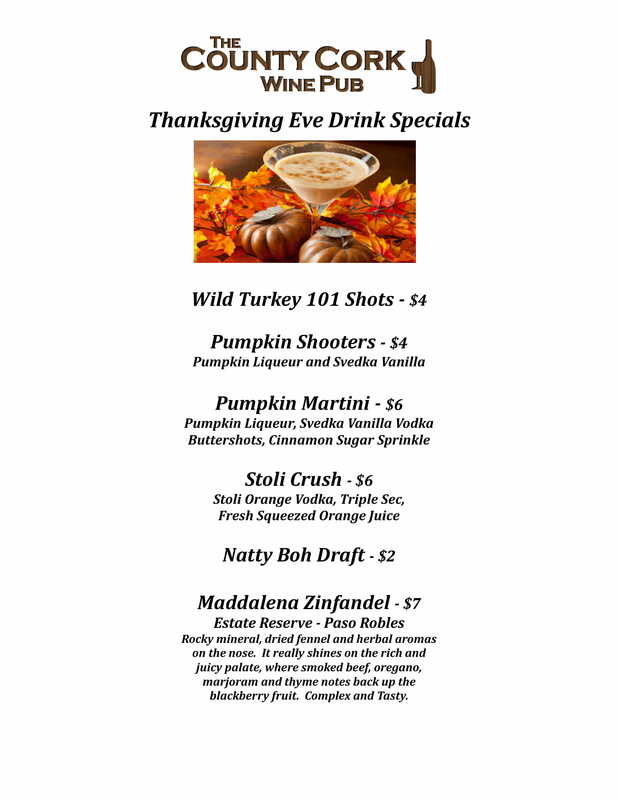 Plus, these great drink specials!